The Orienteering Achievement of 2017 - Vote for your candidate! Note! This poll is closed for voting! You can still see the nominees below. Welcome to the poll for the Orienteering Achievement of 2017 - Men, organized by World of O. The poll will be open from December 7th until December 12th. Instructions: Tick off for your favourite, and submit your vote at the bottom of the page. Note! You can recommend your favourite to your friends on Facebook by clicking the "Recommend" button below each nominated athlete. In his first sprint race since WOC 2016, Lysell took the bronze medal in WOC sprint 2017. One day later he helped Sweden to gold at the WOC sprint relay. And finally The World Games sprint gold medal was the topping on the cake. Jerker Lysell never stops to surprise. Even after tons of injuries and a mimimum of competitions, Lysell is the only man who has taken WOC sprint medals the last three years in a row. Add to that his great run at the WOC Sprint Relay and the World Games gold medal - and you have a real success story. To put it in Lysell’s words: "- It goes up and down. It is nice to get some medals on the way - that everything isn’t just an injury hell." 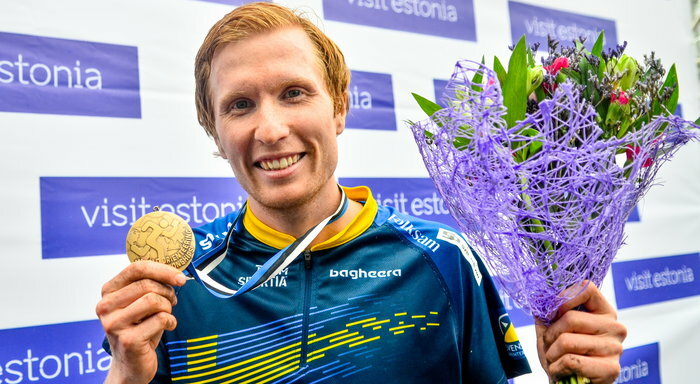 Olav Lundanes has been one of the absolute top athletes in forest orienteering since his WOC long distance gold medal in Trondheim in 2010 - winning gold on his favourite WOC long distance in 2010, 2012 and 2016 before this year’s championships in Estonia. Repeating a success isn’t easy though - in 2017 Lundanes for the first time took two long distance gold medals in a row - and for the second year in a row Lundanes ran solo on the second leg in the relay, delivering anchor Magne Dæhli in gold position. An amazing athlete with amazing results! 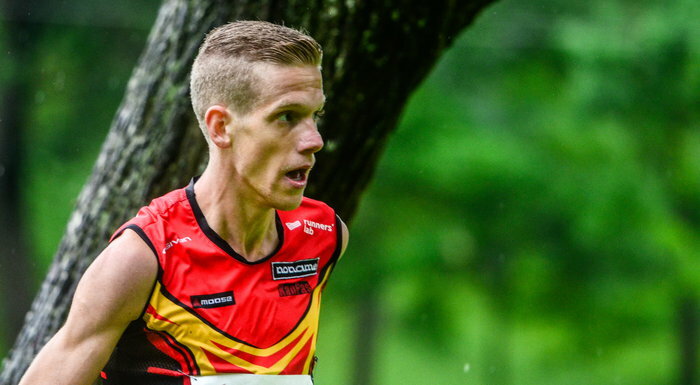 Taking the first ever World Cup win in orienteering for Belgium - and topping it with a medal at the The World Games in Poland. An inspiration for orienteers from countries with less orienteering resources - showing how you can reach the top against the odds. Yannick Michiels has been fighting his way towards the top for several years. In 2015 he thought he had his first World Cup victory in the pocket, but after the race was voided he had to battle on. Two years later the popular and fast Belgian could finally climb to the very top of the podium - winning his first World Cup race at the World Cup sprint in Lohja, Finland. After a disappointing World Championships, he managed to turn the odds and take a silver medal at The World Games in Poland. The King is back - what a fairytail ending! Having announced his retirement well in advance, Gueorgiou had one very last chance to live up to the old "King of Middle" naming from the old days - 6 years after his last middle distance title. And Gueorgiou did it - with a smile on his face from arriving at the start in the morning until leaving in the evening with the gold medal around his neck. 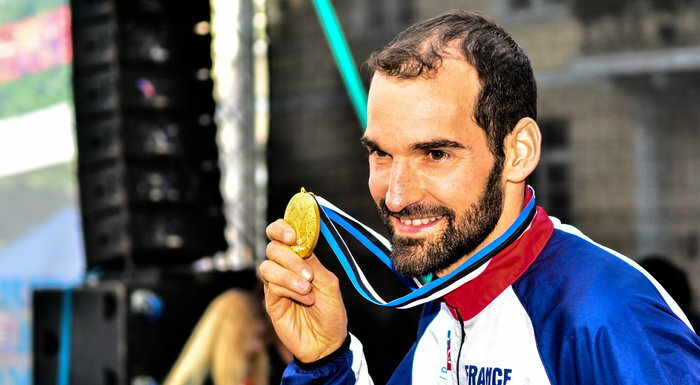 After winning the WOC middle distance in 2003, 2004, 2005, 2007, 2008, 2009 and 2011 - Gueorgiou went under the name "King of Middle" - having revolutionized the sport by taking the technique to a new level with his "full speed - no mistake" strategy. But then the "King" showed his human side in 2012. And in 2013. 2014. 2015. 2016. But finally in 2017, after pushing the pressure on himself to a maximum by having announced that this was his last World Championships, Gueorgiou could climb back on his middle distance throne, fulfilling his dream. 14 years after his first WOC gold medal in Switzerland in 2003, Gueorgiou took his 14th WOC gold medal. The perfect end to a magnificent career! Working hard for many years - finally taking the step up and winning a medal at the The World Games in Poland. Topping it with his first ever World Cup win at the World Cup sprint in Latvia. Vojtech Kral has worked very hard for years, just waiting for the work to really pay off. Showing an incredible stability, Kral had 13(!) World Cup races where he placed between 6th and 10th place and another 9 within Top 15 before that beautiful day in Latvia this summer where he could climb all the way up to the top of the World Cup podium, taking his first ever World Cup win. Some weeks earlier he had won a medal at The World Games in Poland. 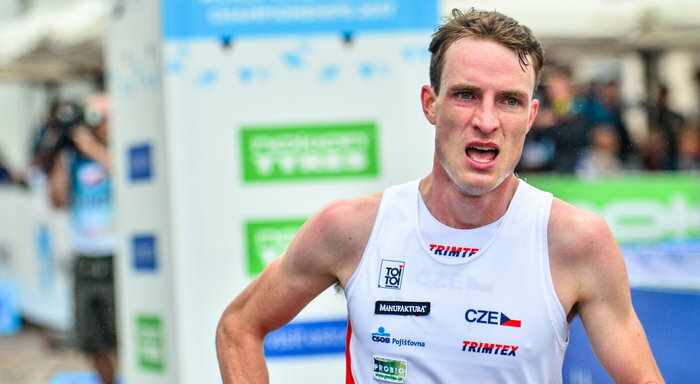 What a summer for the ambitious Czech runner! 6 years after his first and only WOC sprint gold medal, Daniel Hubmann was back on the very top in the sprint distance - taking his 24th WOC medal, the 10th WOC where he could travel back to Switzerland with medals in the luggage! Taking World Championships medals is not easy, but it may look like it when you take a look at Daniel Hubmann’s career. Before this year’s World Championships the Swiss had taken 23 WOC medals in 9 championships. It is amazing how after so many World Championships, Hubmann is still able to make top results, culminating again with a gold medal! Coming from nowhere and surprising again: Taking the WOC long silver medal after being away from the top of the results since his last big surprise - the WOC middle gold medal back in 2014. 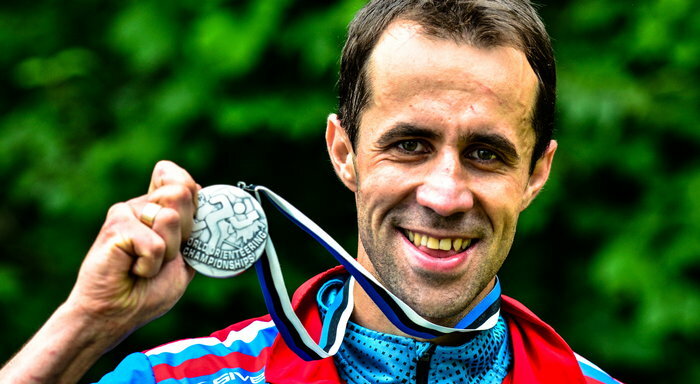 The ones following the Russian orienteering scene closely knew that Leonid Novikov was in great shape and that the Estonian terrain at this year’s World Championships long distance fitted him perfectly. For all others, Novikov’s WOC silver medal was a big surprise, as the Russian had been absent from the top of the international results lists for years. But being in shape is one thing - delivering the goods at the most important race of the year, being the only one challenging Olav Lundanes, is something completely different. Amazing performance! 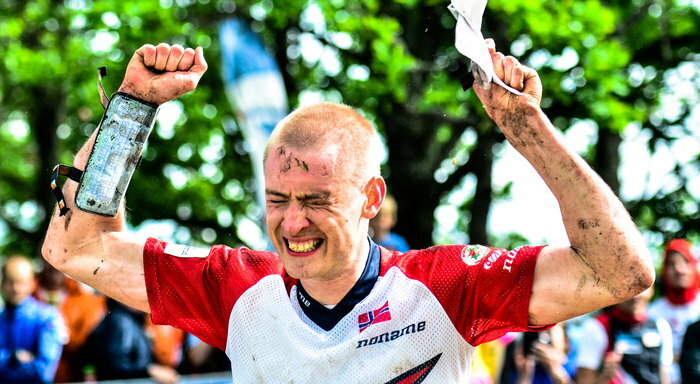 WOC on homeground is a once-in-a-lifetime experience for most orienteers. 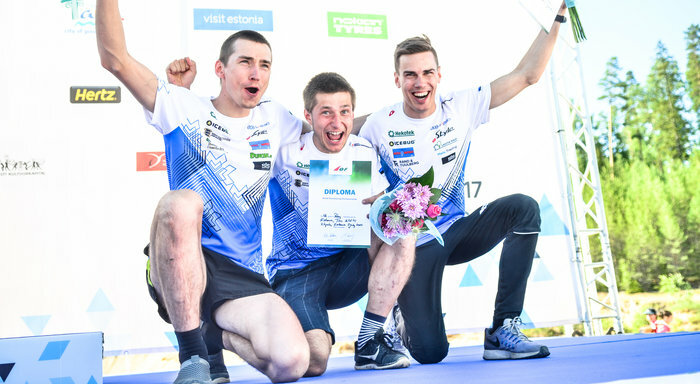 The Estonian relay team with Timo Sild, Lauri Sild and Kenny Kivikas took the opportunity and delivered Estonia’s best ever WOC relay result on homeground for Estonia with a 4th place. The best individual result of the Estonian team at WOC on homeground was Timo Sild’s 10th place on the long distance - going from there to a 4th place at the relay is an impressive team effort. Running on their own land with their fans and with lots of emotions. With this result, Timo and Lauri repeated their father Sixten Sild’s 4th place from the relay back in 1989 when running for the Soviet Union team. For a country with a population of 1.3 million, this is a huge thing - a historical result for this team. 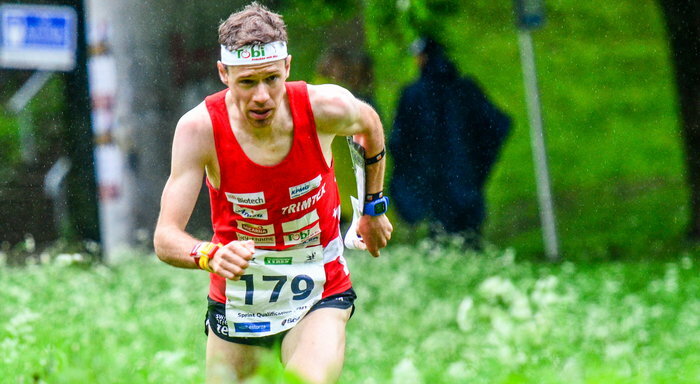 Big man of JWOC on homeground, battling the pressure and coming back to the top with 3 individual gold medals and a relay silver, after struggling a lot at JWOC 2016. 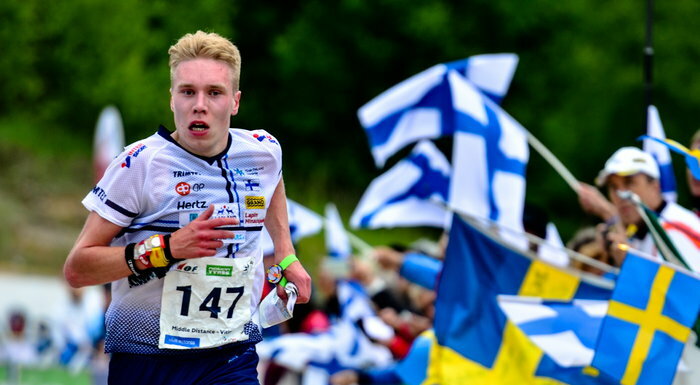 Olli Ojanaho is an incredible orienteering talent - but after his fantastic 2015 season where he took JWOC gold in all three individual disciplines, 2016 was more of a quiet season where the medals didn’t come that easy - giving him a 9th, a 19th and a 28th place at JWOC. In 2017 with JWOC on homeground the pressure was extremely high for the young Finn - but he managed to deliver on race after race - in the end finishing off with all three individual gold medals and a relay silver medal. Note that you are only allowed to vote once. For control purposes, only one vote for each IP address and email address is registered. The email address and IP address is only used for control purposes, and will not be used for other purposes.